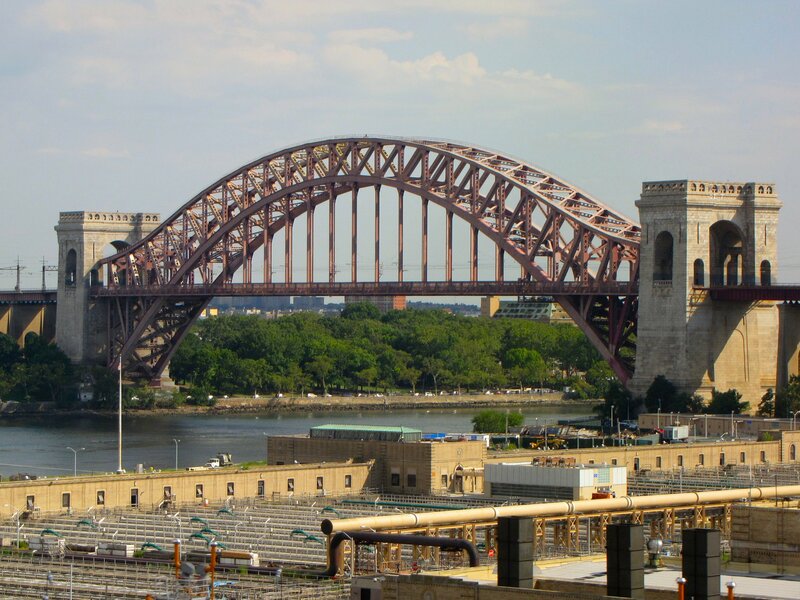 The Hell's Gate Bridge, a railroad bridge in New York City. Notes: This photo was taken from a southbound Acela Express train. The photo was taken from an approach to the Hell's Gate Bridge, before the train ultimately crossed the bridge.